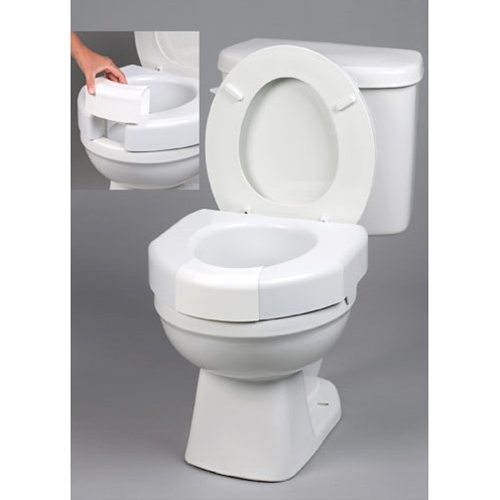 Ableware Open Front Elevated Toilet Seat from HealthyKin.com allows for easy access for hygienic purposes. It works well. I just wish it had a lid. I wasn't thinking about a lid when I ordered it. 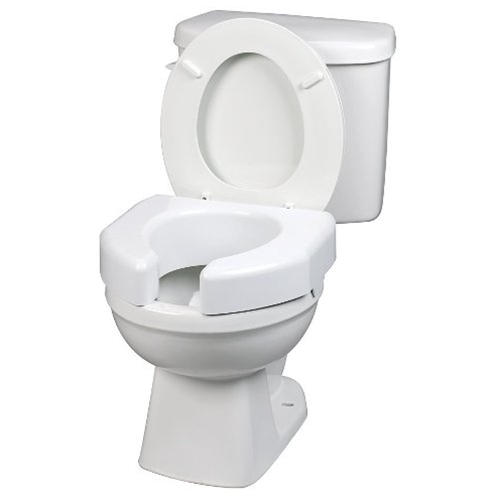 This toilet riser does NOT have any mechanism to tighten on to the toilet bowl. Very unsafe! Like the material, but did not fit our toilets. So, we didn't install them and are sending them back. Bought for my mom after she has knee surgery. She loves it!! !